The administration building, or front office, was completed in 1986. This replaced the building that used to sit near the present-day art building and cafeteria. 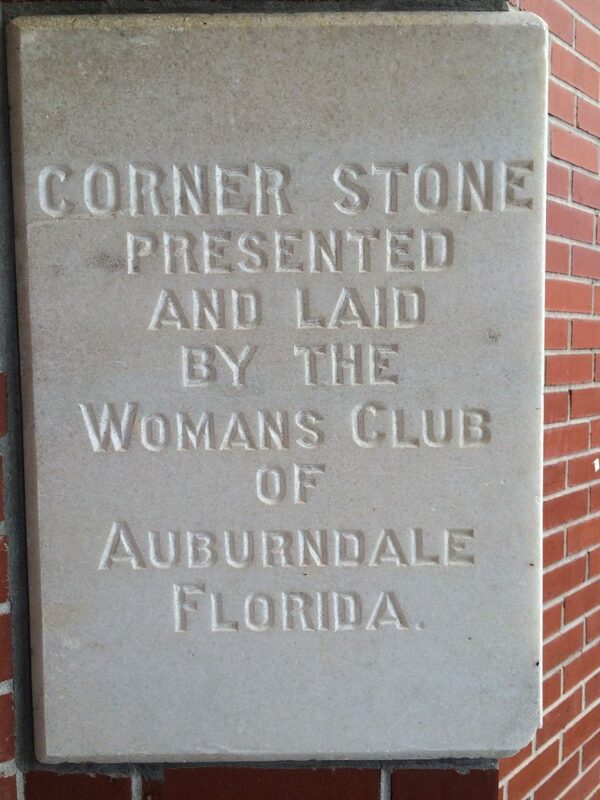 During its construction, the cornerstone of the original 1915 Auburndale school (destroyed in the tornado of May 1979) was placed in the wall near its front doors. This building houses principals, deans, guidance counselors, secretaries, and conference rooms. The south hallway in the building was originally wider, but this area was closed in to make another office in the 1990s. A covered awning was added to the front of the building in 2012. Construction of the back of the front office, August 1986. This was taken from the grassy field between the office and the "T" in front of the gym. Construction of the front office, October 1986. To the left of the photo is the front entrance to the building. The Junior Executive Board of 1986-1987 poses in front of the almost-finished building. It is clear that sod hasn't been installed yet. The wider hallway can be seen on the right, which opened to a conference room. Note the yellow ribbons tied around the front posts during the Gulf War.